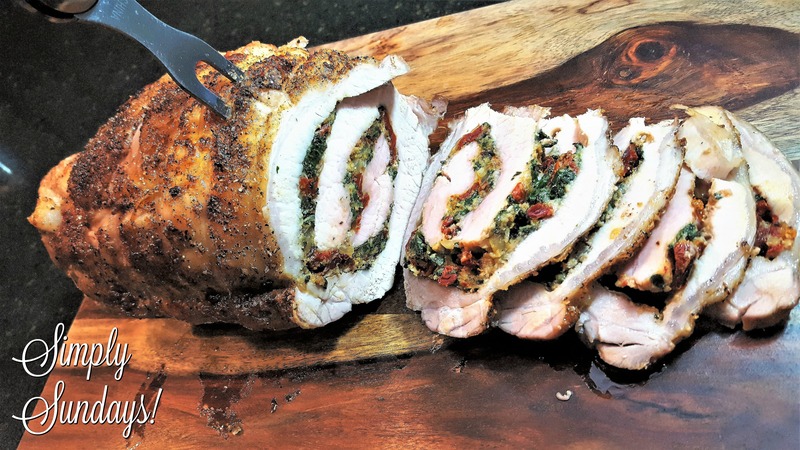 Stuffed Pork Roast – Simply Sundays! This quite possibly could be our favorite pork roast of all time! If that’s truly the case this roast will certainly not be a let down! Place the pork in and let her roll! I mean, it looks great already… wait until you see the inside! Remove the butcher string, slice the roast thinly and serve! P.S. This also makes awesome sandwich meat the next day!